I should probably be writing about the tax bill, or augmenting my series on the 100th anniversary (deathiversary?) of communism, but I can’t resist sharing some humor about socialism that appeared in my inbox this morning. Today, we’ll look at three more images to learn about socialism. And the first one, which I received today, is my favorite since it might actually help educate Crazy Bernie about the inherent unfairness of socialism (sort of like this yard sign). I wonder, by the way, if the Democratic National Committee and the rest of the Democrat establishment now regrets rigging the rules in favor of Hillary? 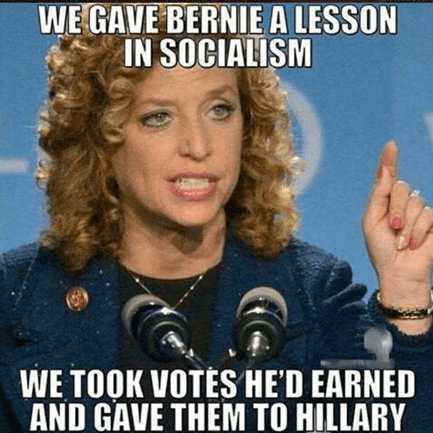 And why did they even bother when DNC Chair Debbie Wasserman Schultz couldn’t even explain the difference between a Democrat and a socialist? But let’s stick to the topic of socialism. I shared an amusing image back in January making the point that nobody ever has to crawl under barbed wire to escape free markets. Though, as illustrated below, I sometimes wish advocates of socialism in America would stop trying to impose that awful ideology on the rest of us and just move someplace that already practices that poisonous system. I do wonder whether a year in some hellhole such as Venezuela, North Korea, or Cuba would change their opinions. Last but not least, I like this third image because it cleverly makes two points. First, it reveals how some on the left would actually prefer equal levels of poverty rather than unequal levels of prosperity (if you think I’m exaggerating, the IMF inadvertently confirmed Thatcher’s warning by trying to justify a 30 percent reduction in national income if it meant a society would have more equal levels of misery). 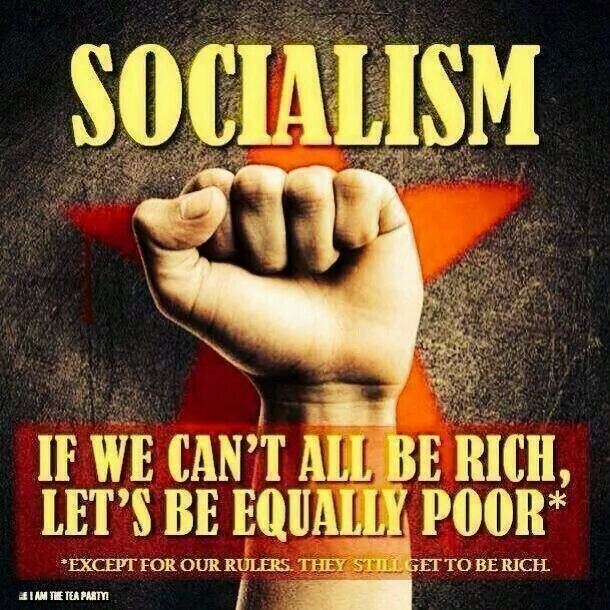 Second, it wryly observes that there’s always a rich elite in socialist nations. 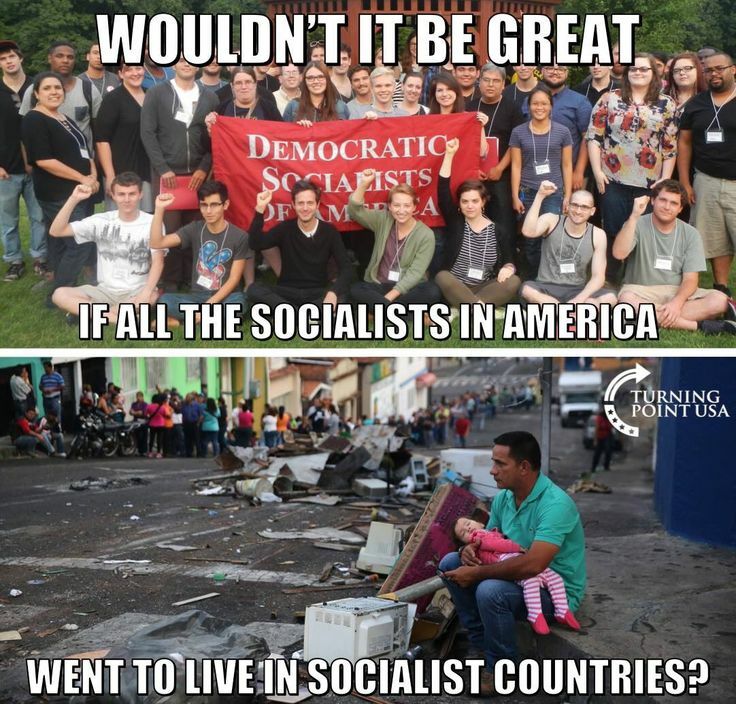 The moral of the story is that socialism should be mocked, both in theory and practice. P.S. I recommend my two-part series (here and here) on the bizarre allure of socialism, though here’s all you really need if you want to understand the economics of that awful ideology. P.P.S. I shared some pro-socialist humor last year, both because I thought it was somewhat clever but also because it gave me the opportunity to point out that voluntary sharing isn’t socialism. Now…to get the people to hear even what they do not want to hear and see even what they want to deny as hard as they can. The political Left is comprised of fairly rigidly enforced castes [special interest and/or victim groups] with the upper, “management” levels where statists of various flavors decide where and how to drive the herd of ‘democrats’ and liberals, mostly with a few “mavericks” and some useful ‘wranglers’ of the true believer’ type along with some anarchists, mercenaries, etc to help keep ’em moving toward full statism, without spooking them over THAT. Spooking them using fear to keep them moving toward the slaughterhouse’s feed lots is done at all those levels in a team effort. People are just cattle—just ‘workers of the world’—after all, and should be glad to sacrifice themselves for the good of the cause…er…”greater good”.